Vice-President Michael Tabone, presented a workshop on the art of pin-washing at the November meeting. Michael took us through all aspects of successfully applying washes from the available tools to the washes themselves and of course his preferred application method. He explained the various options regarding washes ranging from the more traditional oil based washes through to the more recent commercially prepared washes. These are becoming more popular to their more consistent nature but there’s still a place for some old school skills. While a keen aircraft modeller, Michael’s background is in armour. Armour modellers have led the way in recent times in painting, washing and weathering in general. Seeing these skills first hand was a real bonus with Michael spending more time answering questions than pin-washing! Not a bad thing, we all walked away from the meeting better equipped for our next modelling adventure. Workshops are a regular feature at Warbirds AMG meetings to offer up new, complimentary and alternative skills. The focus as always is about fun and enjoying the hobby rather than trying to turn everyone into a master modeller! 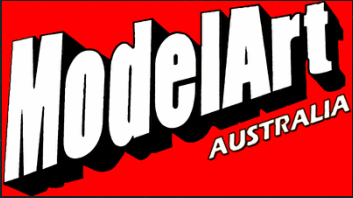 2015 Meeting Dates will soon be posted, keep an eye on the Meeting tab and join for an afternoon of modelling fun next year. 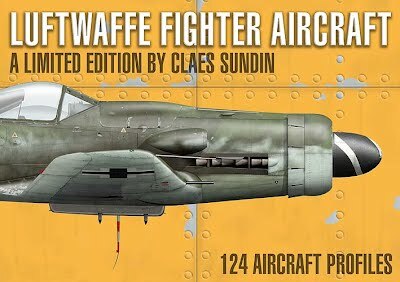 Claes Sundin continues his series of Profile Books with Book No 3 dedicated to the fighters of the Luftwaffe. 124 profiles covers aircraft from 1938 Condor Legion mounts through to the late war machines that were too late to be truly effective. After looking through the pages of the third book in the series, Claes has managed to not simply maintain his great standard that has seen his profiles grace many historical references over the years, but raise the bar. The great selection of profiles including a mix of Luftwaffe standards with some unusual variants and even the odd controversial subject will no doubt spark many conversations and debates with modellers and historians alike. By controversial, I refer to the old debates on JV44, the Luftwaffe jet fighter protection unit, and whether the underneath of their aircraft was red or black with white stripes. While red is generally accepted to be corrected there are still those who believe some aircraft may have been black. Also, the actual Werk Nr of Hartmann’s aircraft spark questions and of course the all-red Focke Wulf Ta152 is a fun topic of discussion. Click on the book cover above to be taken to more info on the book and ordering information. Print and binding quality is perfect. Claes releases these through his own publishing efforts, Centura Publishing. 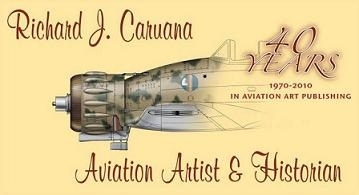 Tell him Warbirds AMG sent you!